And meet me on the other side” (1). “…Verily, I have traveled to strange places which are not upon the earth or any known planet. I have been a rider of comets, & a brother to the nebulae…” (2). Lovecraft’s dreams played an important place in his fiction. HPL turned several dreams into stories. For example, The Statement of Randolph Carter retold one of HPL’s dreams. In that dream, he played the part of Randolph Carter, while his friend, Samuel Loveman, played the part of Harley Warren. Upon Lovecraft’s death, the cry for Lovecraft fiction was so great that Bernard Austin Dwyer, a disciple of HPL, published one of the author’s dream accounts as The Evil Clergyman (3). Besides the stories that were purported to be dreams, they also figured prominently as plot devices in HPL’s narratives. Sometimes Howard placed his dream within a story. In other instances, the recounted dream was a retelling of the outline of an actual dream in a tale. For example in The Call of Cthulhu, the dream of Henry Anthony Wilcox with fresh clay bas-relief taken to a University Professor for interpretation, represented in substance, if not in specifics, a portion of a Lovecraft dream (4). “Lovecraft’s was such a world as merged readily with the many worlds of his dreams and fancies, but his dreams were not, contrary to a belief which has spread among his readers, very often translatable into fiction” (5). No matter how fantastic HPL’s dream imagery was, they were hard to assemble into a coherent storyline with a climax. 1) Did Lovecraft’s fantastic dreams prove, as some occultists claim, that he was a closet cultist? 2) What factors allowed HPL to access fabulous dreamscapes, not available to common sleepers? 3) What did Timothy Leary, Native American Medicine People and Lovecraft’s Dreams have in common? Lovecraft’s Fantastic Dream-life and Claims of Occultism. Based on Lovecraft’s fabulous dream life and his use of the fabled Necronomicon, some occult enthusiasts paint Lovecraft as a closet cultist or secretive sorcerer. Nevertheless, Howard’s lifelong beliefs argue against the acceptance of magic and supernaturalism. “All I say is that I think it is damned unlikely that anything like a central cosmic will, a spirit world, or an eternal survival of personality exist. They are the most preposterous and unjustified of all the guesses which can be made about the universe, and I am not enough of a hair-splitter to pretend that I don’t regard them as arrant and negligible moonshine. In theory I am an agnostic, but pending the appearance of radical evidence I must be classed, practically and provisionally, as an atheist” (6). Despite Lovecraft’s avowed atheism, some occultists still imply that Howard lived a double-life – the hidden side being that of a Magic Practitioner. “They had not been even savages—for what indeed had they done? That awful awakening in the cold of an unknown epoch—perhaps an attack by the furry, frantically barking quadrupeds, and a dazed defence against them and the equally frantic white simians with the queer wrappings and paraphernalia . . . poor Lake, poor Gedney . . . and poor Old Ones! Scientists to the last—what had they done that we would not have done in their place? God, what intelligence and persistence! What a facing of the incredible, just as those carven kinsmen and forbears had faced things only a little less incredible! Radiates, vegetables, monstrosities, star-spawn—whatever they had been, they were men!” (7). Did Lovecraft’s use of the Necronomicon prove his Occultism? One urban legend suggests that Lovecraft’s esoteric initiation came through his wife, Sonia Greene. “In 1918 Crowley was in New York. As always, he was trying to establish his literary reputation, and was contributing to The International and Vanity Fair. Sonia Greene was an energetic and ambitious Jewish émigré with literary ambitions, and she had joined a dinner and lecture club called ‘Walker’s Sunrise Club’; it was there that she first encountered Crowley, who had been invited to give a talk on modern poetry… Crowley did not waste time as far as women were concerned; they met on an irregular basis for some months” (8). Out of the supposed Greene-Crowley connection, Lovecraft acquired knowledge of the dreaded Book. Some cybernaut occultists, who believe, “if it is on the internet, it must true,” have run with the notion. “Despite many attempts to show that the Necronomicon is nothing more than Lovecraft’s literary invention, a group of prominent authors and occultists claimed to provide confirmation of part of Lovecraft’s claim…[One]…explanation [where Lovecraft acquired the Necronomicon] (promoted by the author in an extended moment of wickedness), that Lovecraft’s wife Sonia Greene associated with the notorious occultist and poet Aleister Crowley during his residence in New York in 1918 is completely plausible and consistent with both their characters, but entirely untrue” (9). Still, Necronomicon – truthers devise other means to prove the existence of the fabled Grimoire. To be fair, Lovecraftians love to speculate on whether the Necronomicon had its basis in reality. “Lovecraft’s Necronomicon is the occult equivalent to Orson Wells’ 1938 radio broadcast of War of the Worlds. As Lovecraft himself wrote: ‘No weird story can truly produce terror unless it is devised with all the care and verisimiliture of an actual hoax’” (10). Thus, the much-debated existence of the fictional Necronomicon supplies no evidence of the equally fictional notion that Lovecraft dabbled in the occult. Did HPL’s Atheism preclude Supernaturalism? Still, does Atheism preclude belief in the uncanny? Some people, while strident atheists towards traditional gods, are nevertheless open to a plethora of New Age beliefs. New Age systems often favor the subjective over the objective. Experience surpasses evidence. If something feels true, it is, whether or not you can figure it out. Intuition supersedes intellect. What feels true becomes a functional fact. The old X-Files declaration that the “Truth is out there,” rather than between your ears, epitomizes that ethic. “No-I’ve never read any of the jargon of formal ‘occultism’…weird writing is more effective if it avoids the hackneyed superstitions & popular cult formulae. I am…an absolute materialist…with not a shred of credence in any form of supernaturalism—religion, spiritualism, transcendentalism, metempsychosis, or immortality. It may be, though, that I could get the germs of some good ideas from the current patter of the psychic lunatic fringe; & I have frequently thought of getting some of the junk sold at an occultists book shop in 46th St. The trouble is, that it costs too damned much…in my present state. How much is the brochure you have just been reading? If any of these crack-brained cults have free booklets & ‘literature’ with suggestive descriptive matter, I wouldn’t mind having my name on their ‘sucker lists’. The idea that black magic exists in secret today, or that hellish antique rites still survive in obscurity, is one that I have used & shall use again” (11). At the most, Howard used references to books like the Necronomicon and his pantheon of Old Ones as props to suspend disbelief in those who read his fiction. One must be careful about jumping to conclusions, a “guilt by association” fallacy. For instance, just because someone knows the Necronomicon, does not make that person an Occultist. Next, I would like to explore the facets of Lovecraft’s lifestyle that mirror the ascetic practices of a shaman. As HPL followed a shaman’s disciplines, he unknowingly stirred up the unconscious grounds from which traditional shamanistic visions arose. The word “accidental” is of prime importance in our discussion. As we have noted, Lovecraft had no more room for shamanism than he did any spiritual practice in his sane, waking world. And I feel any article on Lovecraft should respect his stated beliefs. Shamanistic Tendency #1: Sleep Deprivation. First, Lovecraft was an accomplished insomniac. At an early age, HPL experienced Night Terrors, a series of especially vivid nightmares, where a person quickly wakes up from deep sleep in a terrified state. Young Howard would be pursued by what he termed “Night Gaunts” – enormous winged, faceless bat-like creatures – that would grab him by the stomach, lift him to dizzying heights, then drop him to certain destruction on the earth below. HPL took juvenile steps to avoid sleep, since slumber represented the gateway to the dark beasts of his unconscious. In adulthood, Lovecraft was known to go without sleep on many of his trips to meet with his correspondents. Sometimes HPL went three-days without sleep. In fairness to Lovecraft, he went without slumber to maximize the time and get the most out of his trips. His excursions to discover the antiquarian architecture delights were one of HPL’s driving passions. Those jaunts into architecture ecstasy often left others with sore feet. One biographer noted, “For all his plaints about lack of energy, Lovecraft, when sightseeing, galloped about at a rate that exhausted his companions” (12). “…Howard Lovecraft, (the man who visited Sam in Cleveland one summer when Galpin was also there) kept Sam traipsing around the slums and wharf streets until four in the morning looking for Colonial specimens of architecture, and until Sam tells me he groaned with fatigue and begged for the subway!” (13). “The following year, , HPL and I met in Providence, at 66 College Street. Mrs. Gamwell, was then in the hospital, so that there was no one to persuade us to keep sane hours. My recollection is that this time, we were on the go for thirty four hours…” (14). Lovecraft bolstered his ability to go without sleep with coffee. He drank massive amounts of Java, laced with large amounts of sugar – up to four teaspoons per cupful. An ancillary detail to Lovecraft’s sleep practices was that he slept during the day and stayed awake deep into the night. Circadian rhythms in human beings regulate core-body temperature, brain wave activity, hormone production, cell regeneration, endocrine secretions, and other biological activities. One’s circadian rhythms are modulated 24-hour cycles of sunlight and darkness. The disruption of sleep patterns leads to interrupted REM sleep – the period of slumber where dreams occur. When dreams are denied an unconscious outlet, they seek conscious expressions. Hallucinations can occur. Second, Lovecraft practiced a measure of fasting. HPL was largely indifferent to food in general. He was not tempted by gourmet fare, and bragged about how little it cost him to eat. Except for the two years that he lived with Sonia Green, where Lovecraft’s weight ballooned from his aristocratic ideal – below 150 lbs, at 5’ 11’’ to 200 lbs – HPL barely ate enough to keep alive. Lovecraft food idiosyncrasies did not promote his health. The malnutrition caused by Howard’s Spartan diet, led to a breakdown in his immune system that fostered the opportunistic cancer that later killed him. But Howard did believe that his brain worked better when it was slightly malnourished (15). He experimented with his frugal diet, to increase the frequency and intensity of his uncanny dreams. Third, Lovecraft practiced sexual celibacy. The ascetic benefits of celibacy outside esoteric or religious traditions are debatable. Besides Howard’s marriage to Sonia Greene, from my reading of various Lovecraft biographers, lived out the sexually-repressive mores, engendered by a strong Victorian ethos. Beyond that recognition, Lovecraft’s sexuality appears to be like a Rorschach inkblot – what each person sees depends on what orientation they intend to find. On a practical level, like many intellectuals: “Lovecraft focused his attentions and efforts on mental, rather than physical, pursuits, and simply didn’t have very strong sexual interests at all” (16). In the same manner, Lovecraft’s abstinence from drinking and smoking also allowed him an undivided or undiluted pursuit of his scholarly interests. Fourth, Lovecraft ironically at times likened himself to an ascetic or hermit. Again, HPL did not see his asceticism to arise from a religious or spiritual notion. Nonetheless, periods of physical and psychological isolation marked Lovecraft’s life. On some level, Lovecraft felt like he was out-of-step with life. He sensed himself a stranger in his own world. At times, HPL lived like a hermit. Between 1908-1914, Howard withdrew from life, due to a reported nervous breakdown. Otherwise, despite the stereotype, Howard engaged life, through his large circle of literary pen-pals, and his frequent trips to visit them. “Yet I can assure you that this point of view is joined to one of the plainest, naivest, and most unobtrusively old-fashioned of personalities—a retiring old hermit and ascetic who does not even know what your contemporary round of activities and “parties” is like, and who during the coming winter will probably not address two consecutive sentences to any living person—tradesmen apart—save a pair of elderly aunts!” (17). What effects did Lovecraft’s accidental shamanic practices induce? One result of prolonged sleep deprivation includes various types of psychoses. Lovecraft often went days without sleep. One study reports that a full 80% of people, who experienced long bouts of insomnia, also suffer visual hallucinations (18). Thin-boundary behavior is when a person experiences a dream state or hallucination that seems as real as if the event actually occurred (19). “I have related this in detail because it impressed me very vividly. This is not a Co [shorthand for Ira A. Cole] romance of reincarnation-you will see that it has no climax or point-but it was very real…At this point you ask me whence these stories! I answer-according to your pragmatism that dream was as real as my presence at this table, pen in hand! If the truth or falsity of our beliefs & impressions be immaterial, then I am, or was, actually & indisputably an unbodied spirit hovering over a very singular, very silent, & very ancient city somewhere between grey, dead hills. I thought I was at the time-so what else matters? Do you think that I was just as truly that spirit as I am now H.P. Lovecraft? I do not” (20). 5) Periods of physical and emotional isolation that fostered his sense of separateness. As Lovecraft lived out these factors, the left-brained intellectual accidentally stirred up the unconscious grounds from which traditional shamanistic visions arose. “…As mere yarns, these jumbled fantasies would be hardly worth; but being bona fide dreams, they are rather picturesque. It gives one a sense of weird, fantastic, & unearthly experience to have seen these strange sights apparently with the visual eye. I have dreamed like this ever since I was old enough to remember dreams, & probably shall till I descend to Avernus…Verily, I have traveled to strange places which are not upon the earth or any known planet. I have been a rider of comets, & a brother to the nebulae…” (21). What did modern shamans, like Timothy Leary, and older shamans, like Native American Medicine People, have in common? Both used drugs to throw chemical switches in their brains that led to their vibrant trips and visions. “… Profoundly alters and expands consciousness by loosening or… completely erasing the normal filters and screens between your conscious mind and the outside world. With these filters down, more information rushes in. You sense more, think more and feel more. You become aware of things normally filtered out by your mind — visual, auditory, sensory and emotional. The intricate details on surfaces, the richness of sound, the brightness of colors, and the complexity of your own mental processes are all brought to the foreground of your consciousness. At higher doses, the rush of information becomes a flood and your senses actually begin to merge and overlap…until you can see sounds or smell colors” (22). “LSD’s primary effects are visual. Colors seem stronger and lights seem brighter. Objects that are stable might appear to move or have a halo of light around them. Sometimes objects have trails of light coming from them or appear smaller or larger than they really are. LSD users often see patterns, shapes, colors and textures. Sometimes it seems that time is running backward, or moving very quickly or slowly. On very rare occasions…tripping can cause synesthesia — a confusion of sensations between different types of stimuli. Some people have described this as seeing colors when they hear specific sounds” (23). “What makes psychedelics more interesting is their tendency towards a greater universality in terms of the kinds of complex imagery, experiences, and ideas that they engender; they give us a sense of exploring the deep structures of the human mind, where the contingencies of our personal histories and consequent personality traits tend to evaporate” (24). I have never used a psychedelic drug, so I cannot describe an LSD or Mescaline trip from personal experience. That is why I included descriptions of how a hallucinogenic agent affects a person’s perception and sensations. The result was that Lovecraft’s dreams and imagination expressed the same otherworldly experience of someone who used psychedelics. Tristan Eldritch first likened Lovecraft’s writings to psychedelic experiences (25). However, that research did not explore Lovecraft’s ascetic lifestyle as contributing to the psychedelic-magnitude of HPL’s dreams and prose. “The sound of weird lyric melody was what aroused me. Chords, vibrations, and harmonic ecstasies echoed passionately on every hand, while on my ravished sight burst the stupendous spectacle of ultimate beauty. Walls, columns, and architraves of living fire blazed effulgently around the spot where I seemed to float in air, extending upward to an infinitely high vaulted dome of indescribable splendor. Blending with this display of palatial magnificence, or rather, supplanting it at times in kaleidoscopic rotation, were glimpses of wide plains and graceful valleys, high mountains and inviting grottoes, covered with every lovely attribute of scenery which my delighted eyes could conceive of, yet formed wholly of some glowing, ethereal plastic entity, which in consistency partook as much of spirit as of matter” (26). Besides the similarity in phantasmagoric experiences, I would like to point out the perception of time distortion that Lovecraft sought aesthetically and the disruption of time in a hallucinogenic trip. “…that…invariably imply a total defeat of the laws of time, space, matter, and energy—or rather, an individual independence of these laws on my part, whereby I can sail through the varied universes of space-time as an invisible vapour might … upsetting none of them, yet superior to their limitations and local forms of material organization” (27). “…Sometimes it seems that time is running backward, or moving very quickly or slowly…” (28). Now, I want to emphasize the mechanistic nature of psychedelic trips. I have used terms like “chemical switches” and “chemical triggers” to describe the functional dynamics of hallucinogenic incidents. Similarly, there are chemical interactions that underlie Near Death Experiences (NDEs). And chemical interchanges in the brain trigger psychedelic experiences. In NDEs, neurons across the brain fired synchronously. When all the neurons act together, with a far greater uniformity than normal, a kind of hyper-consciousness in the brain occurs. Also, the brain experiences feedback connectivity. Bottom-up processing – that involves sensory perceptions – increases five-fold. Anything experienced during that time appears “hyper-real” (29). How one interprets a NDE largely depends on the belief system they held before the event. In the same fashion, one’s belief system determines how they understand psychedelic events, Near Death Experiences, and Lovecraft’s imaginative dreams. All three neurological events can be understood as rarely accessed chemical interactions in the brain. “West was a materialist, believing in no soul and attributing all the working of consciousness to bodily phenomena; consequently he looked for no revelation of hideous secrets from gulfs and caverns beyond death’s barrier. I did not wholly disagree with him theoretically, yet held vague instinctive remnants of the primitive faith of my forefathers; so that I could not help eyeing the corpse with a certain amount of awe and terrible expectation…In a moment of fantastic whim I whispered questions to the reddening ears; questions of other worlds of which the memory might still be present. Subsequent terror drove them from my mind, but I think the last one, which I repeated, was: ‘Where have you been?’” (30). Was there a Genetic Predisposition to Lovecraft’s Dreamscapes? Before moving on, I would like to state that Lovecraft might also have been genetically predisposed to fantastic dreaming. 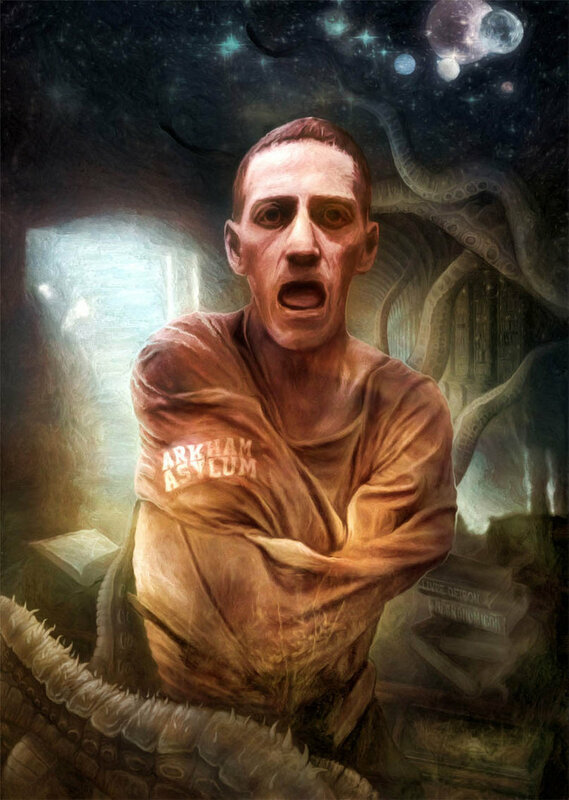 Similarities exist between the visual and sensory hallucinations of schizophrenia and Lovecraft’s vivid dreamscapes. I believe the genetic link might have been maternal. Though Lovecraft’s father died in a mental institution, his madness was probably due to the complications from a disease – syphilis. On the other hand, Susie Lovecraft, in her later years, experienced visual hallucinations involving shadowy figures. The hallucinations appeared to be organic in nature. Lovecraft experienced bouts of mental illness, though they were thought to be largely bipolar depression. However, HPL’s irrational racism despite his otherwise towering rationality may have had an organic, delusional basis. Similarly, when the usual genetic screens – those that narrow down the conscious stimuli one receives to a manageable reality – are faulty, a person’s sensory experiences take on the character of psychedelic trips. Howard’s screens, for lack of a better metaphor, might have been few and faulty. That does not mean HPL’s faculties were deficient every moment of everyday. But they were sufficiently fewer, and further weakened by his ascetic tendencies, to turn his dreams into titanic cyclopean visions of other worlds and other times. A similar imperfect facility allowed Vincent van Gogh to see bright colors around prosaic natural scenes that others did not see, and pour them into his haunting canvases. Perhaps Lovecraft beheld things in his dreams and waking bouts of imagination due to a similar dysfunction of some of his mental acuities. To Burn the Reader’s Mind with Cosmic Grandeur. I believe a constellation of factors – both behavioral and organic – predisposed Lovecraft to access worlds of imaginative shadows. Lovecraft, like other great artists, was a unique individual in history. In no way can we trace all the illusive factors that came to fruition in the creative moments, when HPL wrote such greats as At the Mountains of Madness. I hope we have hinted at a few reasons Lovecraft produced the impressionistic tales that burned the reader’s mind with cosmic grandeur. (1) Dream Weaver: Song by Gary Wright, 1975. (2) H.P. Lovecraft’s Letter to Rheinhart Kleiner, May 21, 1920. (3) H.P. Lovecraft’s Letter to Bernard Austin Dwyer, August 1933. (4) H.P. Lovecraft’s Round-Robin Letter to Gallomo, (Alfred Galpin, Samuel Loveman, and Maurice W. Moe), January 1920. (5) Amazon review of Dreams and Fancies by H.P Lovecraft, “A Lovely Wee Book,” by W.H. Pugmire, January 21, 2010. (6) H.P. Lovecraft’s Letter to Robert E. Howard, August 16, 1932. (8) The Necronomicon Anti-FAQ, “Why did the novelist H.P. Lovecraft claim to have invented the Necronomicon?” by Colin Low, 1995. (9) “Dr. John Dee, the Necronomicon & the Cleansing of the World – A Gnostic Trail”, by Colin Low, 2000. (10) Book of Lies: The Disinformation Guide to Magick and the Occult, edited by Richard Metzger, 2008. (11) H.P. Lovecraft’s Letter to Clark Ashton Smith, October 9, 1925. (12) Lovecraft: A Biography, by L. Sprague de Camp, 1976, p. 385. (16) “H.P. 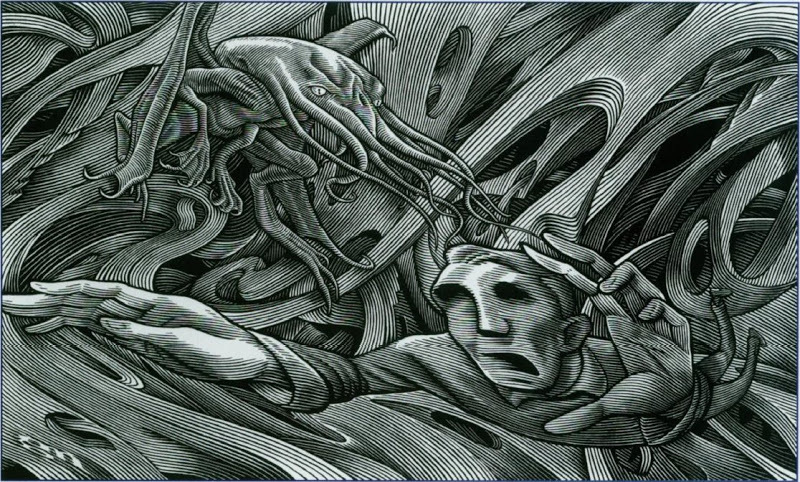 Lovecraft Misconceptions”, by Donovan K. Loucks, http://www.hplovecraft.com/, May 14, 2011. (17) H.P. Lovecraft’s Letter to August Derleth: November 21, 1930. (18) “Can Sleep Deprivation Cause Hallucinations? Seeing Things May Occur with Extreme Sleep Loss” By Brandon Peters, M.D., About.com, September 01, 2011. (19) “H.P. 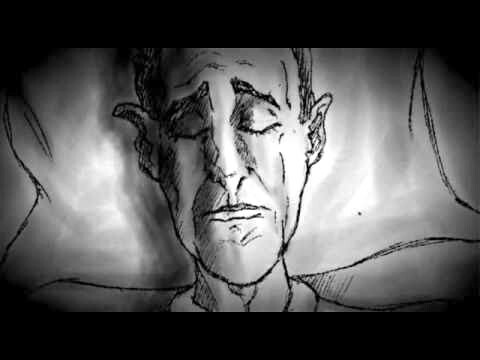 Lovecraft and His Legacy Lovecraft’s Dreaming Part V: Lucid Dreaming?” By Chris Perridas, December 17, 2006. (20) H.P. Lovecraft’s Letter to Maurice W. Moe, May 15, 1918. (21) H.P. Lovecraft’s Letter to Rheinhart Kleiner, May 21, 1920. (22) “LSD Effects”, The GoodDrugsGuide.Com. (23) “How LSD Works”, by Shanna Freeman, http://science.howstuffworks.com. (24) “Towards the Visionary Antipodes of the Human Psyche Part 2: H.P. Lovecraft and the Door in the Wall”, Tristan Eldritch, August 4, 2013. (26) Beyond the Walls of Sleep: by H.P. Lovecraft, 1919. (27) H.P. Lovecraft’s Letter to August Derleth, December 25, 1930. (28) “How LSD Works,” by Shanna Freeman, http://science.howstuffworks.com. (29) “A New Scientific Explanation for Near Death Experiences,” io9, by Joseph Bennington-Castro, August, 23, 2013. (30) Herbert West: Reanimator: by H.P. Lovecraft, 1921-22. John A. DeLaughter is a Data Security Analyst who lives in rural Pennsylvania with his wife Heidi, daughter Kirsten, granddaughter Riley, two cats and a dog. He devoured Lovecraft, beginning with At the Mountains of Madness in high school. ← The PRINT edition of “Lovecraft eZine” issue 30 (The King in Yellow issue) is now available! Wonderful post! Very insightful. Have you read “The Dream World of H. P. Lovecraft: His Life, His Demons, His Universe” by Donald Tyson? Your article addressed some different topics than his books, but you follow a similar course. I am glad you enjoyed the article AD, and appreciate your comments. Yes, I have a copy of “The Dream World of H.P. Lovecraft…” by Tyson, with several underlined passages. Like Michael Houellebecq’s “H.P. Lovecraft Against the World, Against Life,” I believe there are valuable insights into Lovecraft, from authors with a variety of orientations. The one thing I tried to do in the article, was to respect Lovecraft’s personal materialism in the face of his fantastic dream life. There is much more to be said on the subject. I’ve suffered from night terrors and deprevation of sleep too, and I’ve grown up in a very rationalistic, materialistic and scientific family (hence I believe in nothing outside the sensory and measurable world). So, I find the findings in this post very plausible! Sometimes dreams or semi-dreams look more real then the waking life. Thank you Pieter for taking the time to read and respond to the article. Yes, there is a balance between Lovecraft’s beliefs, which should be respected, while at the same time, acknowledging his night terrors and otherworldly dreams. The fact that tenants of the work resonate on some level with your own personal experiences is validating. At best, any work on Lovecraft only scratches the surface on this complex artist and author. I’m glad you found some commonality between Lovecraft’s experiences and your own. I agree with you that HPL is a complex author – that’s why I like the stories, there’s always something that keeps lingering and cannot be ‘seen’. I just posted a link to this article on my Facebook (especially for those I know, interested in dream realities). Thanks Pieter! This thing didn’t allow me to reply on your last response. I hope to write further about Lovecraft, a man who took his dreams much more seriously than the average sleeper. Good luck on your own exploration into all things Lovecraft. The Lovecraft eZine is a great hub to keep current with HPL. ps: yes, Houellebecq’s book should be read by every Lovecraft lover! I used it in my reading club. Agreed. I have read “Lovecraft Against Life” more than once, and I look forward to creating future articles, inspired by Houellebecq’s thoughts. Fantastic article! I am so very proud of you!! Very insightful and stimulating article. I’ve always thought dreams to have an element of validity. That unconsciousness/subconsciousness has power. I do believe that HPL had an ability to reach deeply into the other side of normal consciousness. That’s certainly why I’m so fascinated by his work. He gives us a peek. Also because I’m way to scared to go there myself! I look forward to more from DeLaughter. I am glad you enjoyed the article Paula, and appreciate your response. There is much more to explore concerning Lovecraft’s ability to plumb the dark depths of dreams and the unconscious than can be explored in one inquiry. I hope to do a second article, that will talk specifically about Howard’s dream life, the themes of ancestral/evolutionary memory he might have tapped, while respecting his materialistic stance towards life. Gary Wright’s lyrics caught my eye, but your article was well written, well documented and most interesting. Had never heard about his wife’s purported connection to Crowley. Shared it on Facebook. Thanks! Thank you Victoriagrimalkin for reading the article and for your comments. Gary Wright’s song seems a natural introduction to the complex dream world of this complex man. I’m glad you enjoyed the work! I was led to Lovecraft by Dunsany and OMNI magazine. Shortly after my first fevered session of page turning I was led to the leatherbound edition of the Necronomicon…$80, quite a bit in those days. Whatever the reasoning behind Lovecraft’s “invention” of the book, the authors certainly ran with it. Many of the symbols and incantations have been with us for thousands of years. This is where my love affair with Lovecraft started. I feel an affinity for how lost he was in the world in which he was born. Raised to be a racist and xenophobe you could see over and over in his works just how out of place he felt within the acceptable worldview. Racism meant much more than just tone of skin back in the day-ask the Irish. Knowing there is something more and the steps one is willing to take to search it out determines Shamanism, (34 years exp.). Whether by diet and personal care routines. or a mind that can see and hear more than it should…Lovecraft did indeed rise to the levels of the Prophets and Shamans of old when looking within his dreams. Nice to see an article that does not delve into apologist or revisionist themes. P.S. With all of the Cthulu based games and literature out there….and the claim by pretty much every religion in history that “faith” is what makes it real….and the number of those who think the Necronomicon is an actual text rather than a pre-monothesitic mish mash of Sumerian/Zoroastrian/Lovecraftian ideas….well whether you call it Ragnarok or Armageddon…the end is the end. Wow Michael, thank you for reading the article, and your thoughtful comments. Indeed, Lovecraft was a man born out of time – the more I read about him, from L. Sprague de Camp, Donald Tyson, to S.T. Joshi, and Michel Houellebecq, each scholar captures part of the puzzle that was this enigmatic person. And despite his avowed materialism, he took his dreams seriously – more so than most who espouse a spirituality. I wanted to take a phenomenological approach to his dreams – what steps did Lovecraft take in his personal, day-in and day-out existence – that potentially set the stage for his vivid dream experiences. I hope in future articles to take Lovecraft at the same face-value that you noted in Dreams of an Accidental Shaman. To your P.S. 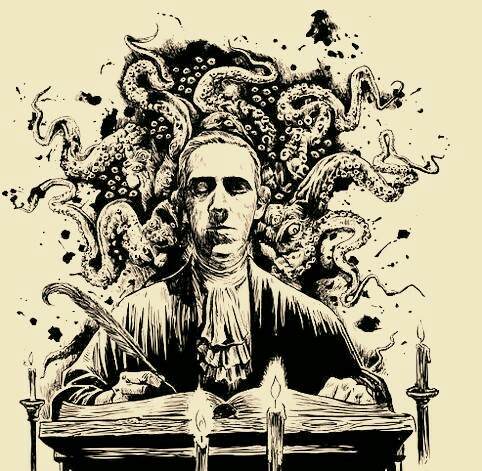 : Yes, the Necronomicon, while birthed in Lovecraft’s imagination, has taken on a life of its own, with all the meaning and significance attributed to it by those across the Lovecraftian spectrum – from fellow Weird Fiction writers of HPL’s day to the Cthulhu gamers and occultist followers of today. Again, I enjoyed your comments! This was an absolutely fascinating and insightful essay. I’ve been a fan of H.P.’s fiction for 30 years but I’ve never dug into his biography that much. I have read his collected “Miscellaneous Writings” which offer great insight into his worldview. I particularly like your comparison of his “ascetic” lifestyle to shamanism and the psychedelic experience. Interestingly, at a former stage of my life, I had a very similar lifestyle: Late night city walks, social isolation, a very poor diet, celibacy, tho’ to be honest I was at the time an an avid and frequent explorer of the psychedelic realms. We have no record of Lovecraft’s involvement in the latter, but there are several stories which describe drug experiences that would seem difficult for one with no such experience to visualize. We can certainly find literary evidence Lewis Carroll’s known psychedelic dabbling in “Alice in Wonderland”. Also, in “Walden” by H.D. Thoreau, he describes being at the ground point of a rainbow, surrounded by a multi-colored glow. This in not possible and no human being has ever experienced this. Could this be an example of the “waking dream” you describe? Anyhow, well done and thank you! Hey Duncan, thank you very much for reading and your kind comments on my article. I did a second article – H.P. Lovecraft and H.R. Giger: “How Their Dreams became Our Nightmares” that goes into further detail about Lovecraft’s dream experiences. To one of your points: I found several references in Lovecraft’s letters where he takes pride in the fact that his dreams have a greater psychedelic quality without resorting to the drugs available during that era, than other authors who used drugs to enhance their writing. To me, that’s why the term, :Accidental Shamanism, is very consistent with the seriousness Lovecraft took towards his dream-life, even though he was ever the rational materialist. I believe certain people have a disposition to shamanistic experiences, if they cultivate the lifestyle habits that Lovecraft practiced – even though some, such as his poor diet, was forced on him by his poverty. There may be other factors involved, but waking dreams are possible for an individual who follows those disciplines. Again, thank you for your thoughtful comments and check out the second article for further insights into Lovecraft’s astounding dream life!